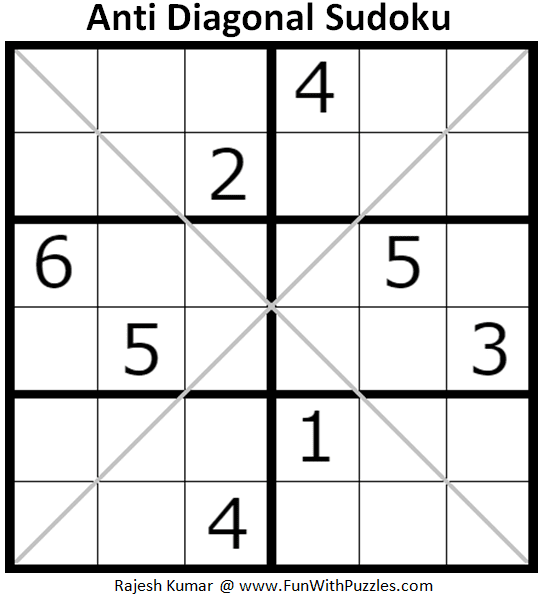 Anti Diagonal Sudoku is very interesting Sudoku Variation in which there is fixed number of digits on the main diagonals which are repeated. 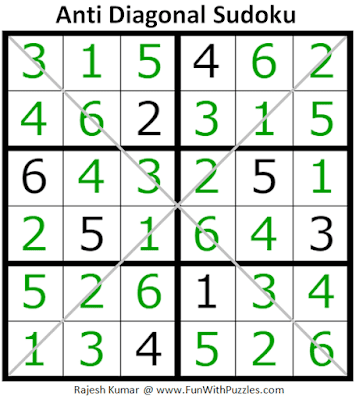 Anti Diagonal Sudoku puzzle can be created both in 9x9 and 6x6 size. While creating Anti Diagonal Sudoku, I realized that creating 6x6 size Sudoku of this type very challenging and interesting. This is my first mini Anti Diagonal Sudoku puzzle for kids, which I am publishing as part of Mini Sudoku Series as 111th Sudoku Puzzle in this Series. Every row/column/box contains numbers 1 to 6. Both the main marked diagonals contain only two numbers. The two pairs of numbers can be same or different. 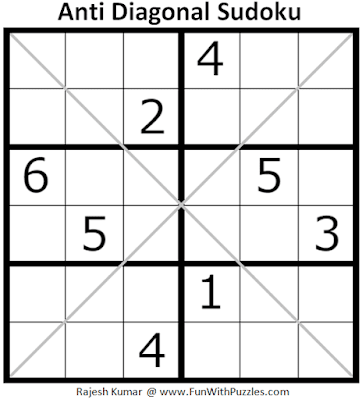 Answer of this Anti Diagonal Sudoku puzzle can be viewed by clicking on button. Please do give your best try to solve this Sudoku puzzle before looking at the answer. 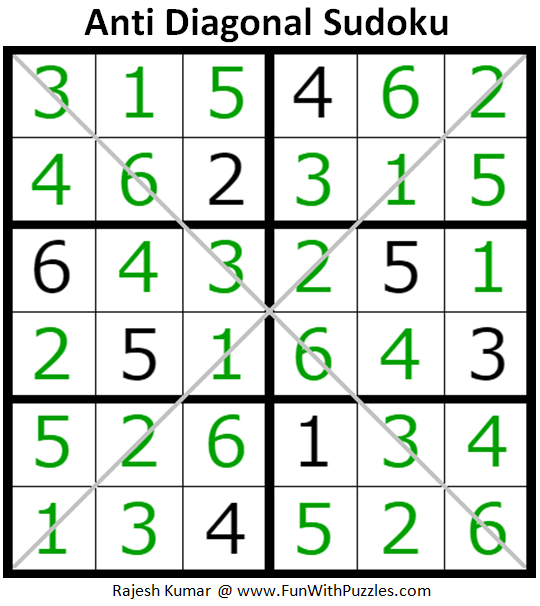 This Anti Diagonal Sudoku Puzzle, I am publishing as #111th Sudoku puzzle in Mini Sudoku Series. Here are the next and previous Sudoku puzzles published in this series. 44s .Very easy one.I didn't use the top right to bottom left diagonal at all.